The information on the this page is meant to help you in planning and enjoying your visit to a New Century Players production. Included on this page is information about the venue - location, seating, parking - as well as information on locations in the area at which you might get some food or refreshment before or after the show. In part made possible by a grant from the Clackamas County Cultural Coalition, with funding from the Oregon Cultural Trust and managed by the Clackamas County Arts Alliance, New Century Players is able to explore a new venue for its performances, the Milwaukie Masonic Lodge. 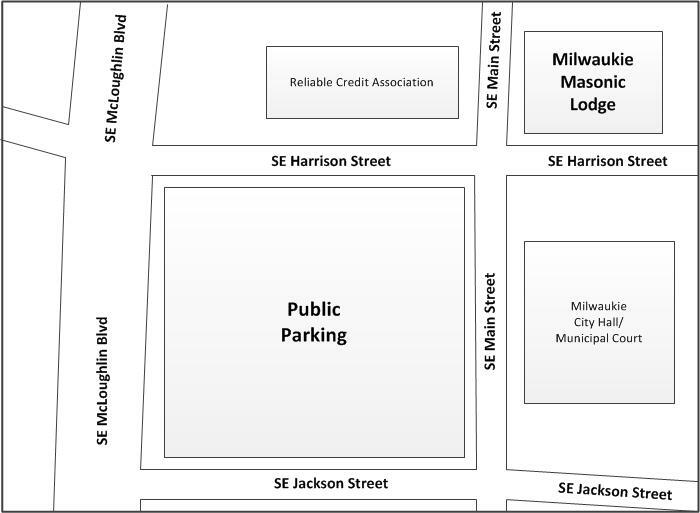 Centrally located in downtown Milwaukie, it is easy to find and has ample free public parking nearby. 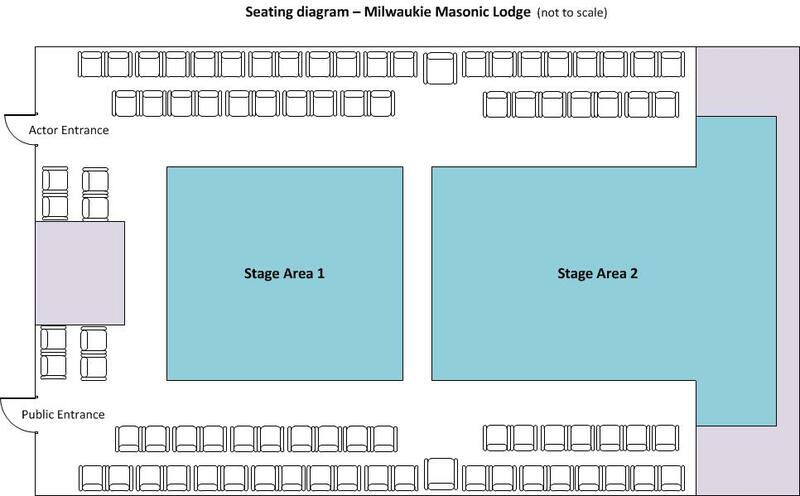 The performance will be a form of theater-in-the-round, with the audience on three sides of the stage areas (see seating diagram for more details). Below is a list of establishments nearby the performance venue at which you might get some food or refreshment before or after the show. The locations are listed in order of proximity to the venue. Please be sure to arrive in advance of the curtain time. 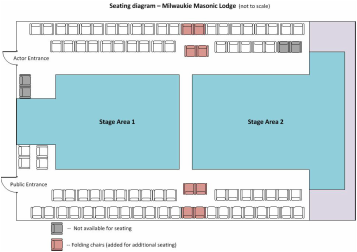 Because of the layout of the seating and the stage, ﻿﻿THERE ﻿﻿CAN BE NO LATE SEATING.